We are excited to introduce you to our friend Kate, a.k.a. @DrinkingwithChickens. If you aren’t following her yet, she is known for enjoying great wine and homegrown cocktails with some rather judgey friends. And by friends, we mean chickens. And by chickens, we mean chickens. Literally chickens…in LA. 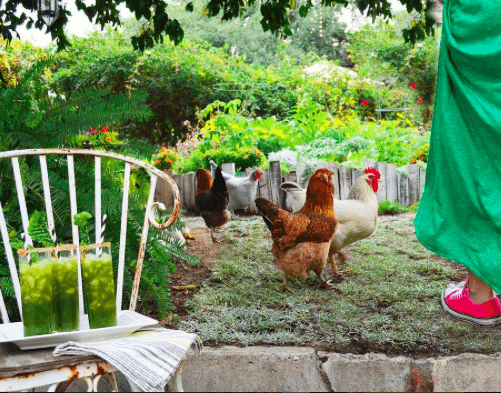 From weed and pest control, to composting and ankle-pecking, chickens are vital to the organic gardening process. And they’re always just sort of there…lurking…taking runs at drink garnishes the second you let your guard down. If a black chicken wanders into your photoshoot to eat your meticulously-placed blackberries, just roll with it. And don’t make eye contact. Yeah. That’s right. Corn in a cocktail. Kate says it delicious. And it just so happens that her chicken’s name is Corn (short for Veronica Corningstone) and she’s just as baffled at the idea of drinking corn as you are. 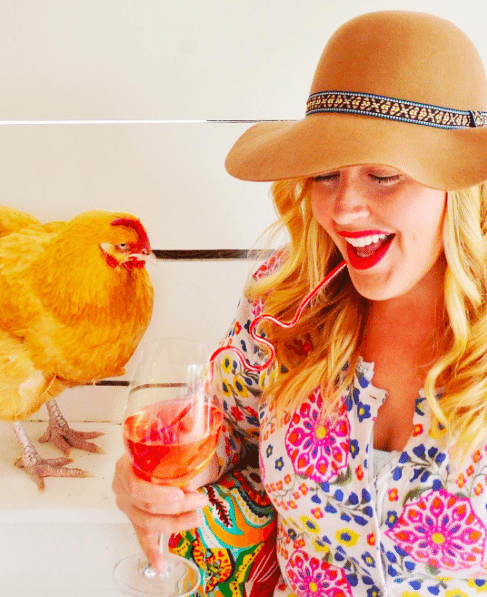 She swears she didn’t name a chicken just to coordinate with a cocktail. Because that would be insane. 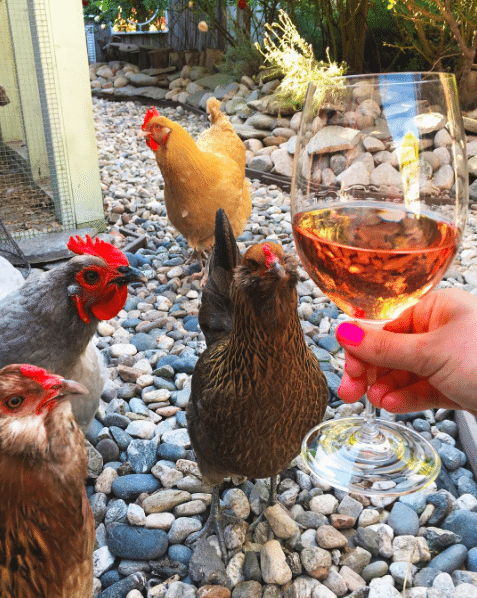 Don’t act like you’ve never seen a glass of #rosé before, Girls. It’s insulting. It’s such poor form to drink #Rosé through a silly straw but #shedoeswhatshewants. It’s essential to have all the right office tools. Chickens have the ability to blend into any environment. And if you blink, they wreak a level of #garden havoc that can only be described as impressive. But sometimes, you gotta just take a breath, drink your #wine, and let them have their joy. If you want to learn more about Kate and her shenanigan causing chickens join her 13K followers on Facebook and 6K Followers on Instagram. @DrinkingwithChickens. And don’t forget to check back next week as we look to introduce you to more of our favorite influencers. Cheers! Mike Gorman is a marketing veteran with more than 15 years experience developing and executing innovative, integrated brand storytelling strategies; establishing and developing strong client partnerships; and leading high-performance teams. He is a social media expert, applying sound storytelling concepts to the digital and social space.